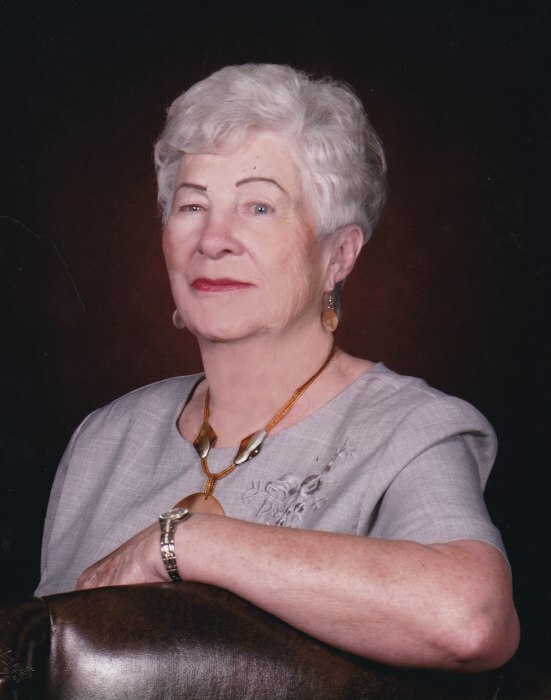 Marianne Catherine (Seykora) Warner, age 90, of Owatonna, passed away February 2, 2019, with her family at her side. Friends may greet the family 4-8:00 PM Tuesday, February 5, 2019 at the Brick Meger Funeral Home and one hour prior to the funeral Mass. Mass of Christian Burial will be 11:00 AM Wednesday at St. Joseph Catholic Church, Owatonna. On Tuesday there will be a parish rosary recited at the funeral home at 3:45 PM before the visitation. Marianne was born February 25, 1928 in a Somerset Township farmhouse, the daughter of John and Elizabeth (Steinkemper) Seykora. She met her future husband, Alex Warner, when he was part of the other couple on a double date. The two were later married June 1, 1948 at St. Joseph’s Church in Owatonna making her home on a farm near Pratt. She had a 58-year love affair with her husband, Alex. Since 1979, they spent winters in South Texas and the last 12 years she went alone. She enjoyed traveling. She went to Alaska and Hawaii, which were gifts from her children. Also, Switzerland, Austria, France, Germany, Italy, Mexico and Ireland. She enjoyed watching sports, especially those her family participated in and was an avid fan of the Vikings and the Twins. She loved playing dominoes and card games like Hand and Foot, Pinochle and 500 with family and friends. Marianne was a member of Pratt Progressive Extension Club, Catholic Workman and St. Isadore’s Guild. She was a 4-H leader and in World War II, she was a member of the Ground Observer Corps whose duty it was to spot planes. Marianne enjoyed being a housewife, caterer, and an amazing baker renowned for baking wedding cakes, breads and kolackys. Survivors include her seven children, Terry (Patty) of Owatonna, Sharon of Arizona, Debra (Randal) Ryan of Hager City, WI, Brian (Michele) of Owatonna, Scott (Karen Carroll) of Denver, CO, Alison of Ketchum, ID and Bradley of Denton, TX. Marianne is also survived by her 12 grandchildren and 18 great grandchildren and 2 great, great grandchildren. Sisters, Genevieve Webster and Donna Carlton, sisters-in-law, Jan Seykora, Betty Seykora, and Marie Warner and numerous nieces and nephews. In 2015, she lost her best friend and sister, Bunny Butler. She was preceded in death by her husband, Alexander P. Warner, parents John and Elizabeth Seykora, her brothers, Richard, Robert and John Seykora, sister, Bunny Butler, Granddaughter Lacey Warner. She will be buried in Sacred Heart Cemetery. In lieu of flowers, donations can be made to St. Mary’s School and Allina Hospice in Owatonna.